This spring, in honor of Arts in April, why not inject some art into your wine tasting? 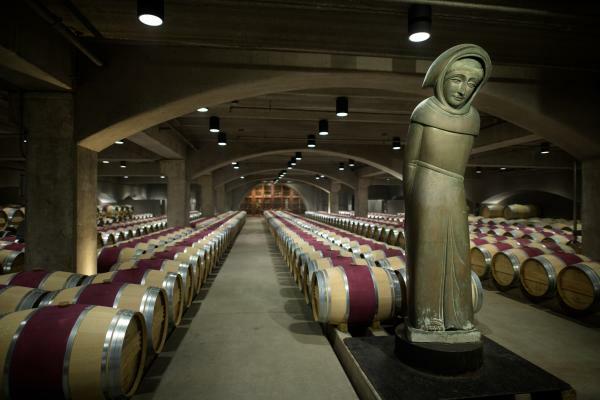 There are a number of Napa Valley tasting rooms that also feature distinguished art collections, allowing you to sate two of your senses at the same time. Hess Collection, Napa. 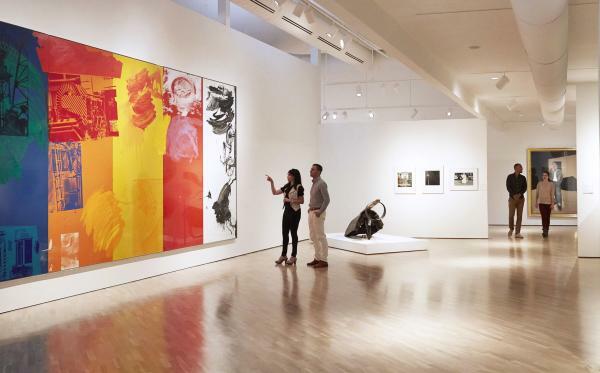 One of the most distinguished holdings of contemporary art in the county, the Hess Collection shows about three-quarters of its works in museums worldwide and the rest are displayed here. Founder Donald Hess invests not only in art works, but in the artists themselves, focusing his interest on 20 living artists whose work he faithfully supports over decades. An audio tour is available, or take the docent-led tour of the whole gallery followed by an optional complimentary tasting. Hall Wines, St. Helena. This spectacular, multimedia collection begins as you turn into Hall’s drive and see the gleaming “Bunny Foo Foo” sculpture by Lawrence Argent. 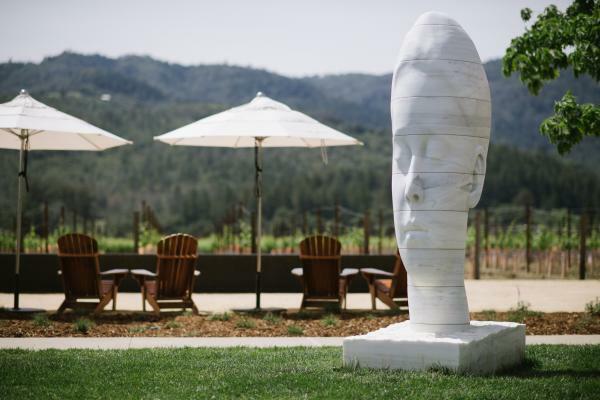 Then take a tour of the whole winery, filled with works by some of the most internationally acclaimed artists today—including John Baldessari, Jim Campbell, Nick Cave, and Jaume Plensa. Outside, the garden has additional sculptures that inspire conversation and photos. Robert Mondavi Winery, Oakville (also in cover photo). Here too the visitor is greeted by a massive work of art: St. Francis of Assisi by 20th-century sculptor Beniamino Bufano. (It’s an on-going theme at the winery, in honor of the order the saint founded, which first brought grapes to California 200 years ago.) There’s also a permanent collection and an exhibit by the current artist in residence. 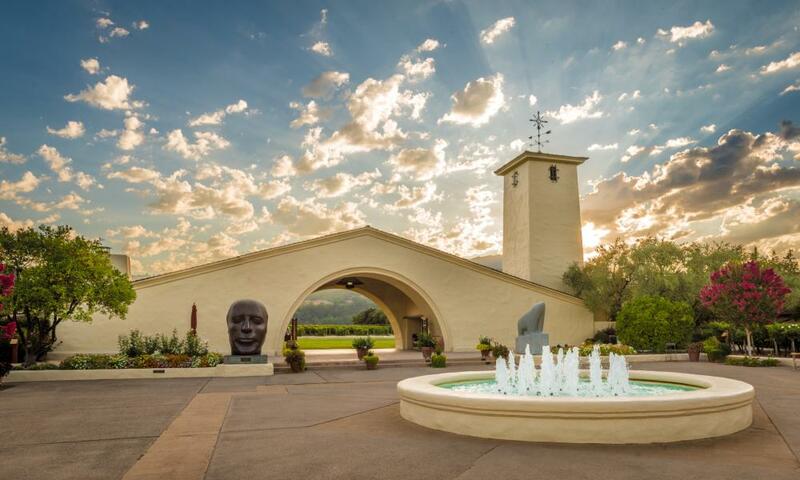 As part of Arts in April, the winery is hosting complimentary one-hour tours of the permanent collection – curated by the late Margrit Biever Mondavi – on Sunday, April 29 (tours start on the hour from 10 am to 4 pm and include a tasting of two wines). Space is limited, so reserve ahead. Markham Vineyards, St. Helena. 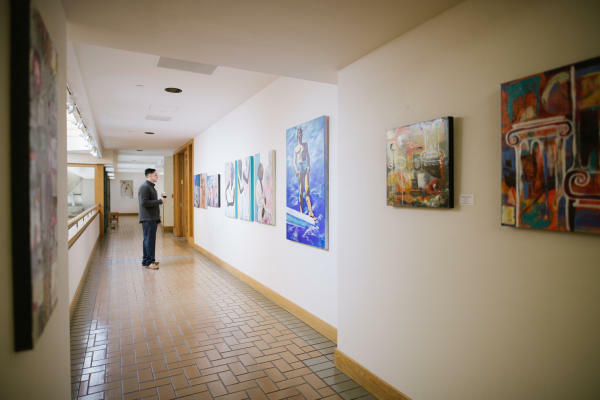 Markham regularly shows the work of resident artists in its visitors’ center, with admission free and open to the public. Currently on display is a show called “Blues to Psychedelia” with works on canvas by Harold and Peggy Francis. Peggy’s portraits celebrate the vibrancy of Southern blues musicians, while Harold’s work takes a more abstract approach with color, pattern, and texture. The winery includes a tasting with the show, so take the time to enjoy each pour and stroll through both exhibits. Jamieson Ranch Vineyards, American Canyon. On the south wall of this sprawling winery, find the Art Wall Mural – 108 feet of urban art by graffiti muralists Ricky Watts, Meagan Spendlove, “Griffin One,” Chris Jehly, Los Angeles artists “Duce” and “Haste,” and “Quake” from Miami. Reflecting the owners’ commitment to the local community, there’s also a panel designed by art therapy students from the A.D.A.P.T. program of Aldea Children and Family Services of Napa. Taste a few of Jamieson Ranch’s current releases and spend some time absorbing this expressive, collaborative work. Jessup Cellars, Yountville. This intimate winery’s Tasting Gallery is filled with original paintings and sculptures by both established names and local emerging artists. Works are in a diversity of styles including abstract, figurative, and landscape. Cynthia Carey is the resident artist and curator, and there are art-themed special events. While you’re there, be sure to sample Jessup’s portfolio of small-lot, Napa Valley-sourced wines. Ma(i)sonry Napa Valley, Yountville. With two floors and a sculpture garden, the ÆRENA Gallery shows a variety of work by artists and craftsmen. The tasting room and gallery are in a beautifully restored historic building and surrounding garden, providing a complete design experience from tasting to viewing. Turnbull Wine Cellars, Oakville. Turnbull’s Gallery includes a casual, standing tasting at the Gallery bar surrounded by its excellent photography collection, which rotates twice annually. Featured are works by such well-known names as Herb Ritts, Edward Weston, Dorothea Lange, Edward Weston, Margaret Bourke White, Ansel Adams, and Berenice Abbott. Taste a flight of Turnbull’s current releases, enjoy the photography, then wander outside and explore the beautiful grounds. Mumm Napa, Napa. Mumm features another extraordinary collection of photography, entitled Poetry of Light. It comprises 27 gelatin silver prints created by Ansel Adams and loaned to the winery by his family. It includes many of his most recognized works, such as Monolith, the Face of Half Dome, Yosemite National Park; Moonrise, Hernandez, New Mexico; and Winter Sunrise from Lone Pine. You can explore the galleries at your own pace with a glass of sparkling wine from the Visitor Center.